Bringing character and style into a brand new space can be difficult, but is something many homeowners face when extending a house. Sarah Parmenter of @RelovedMCR has tackled this problem with great results when creating her family living room. After the main living room was transformed in to a bedroom for her teenage son, she converted her garage to accommodate a new living room. 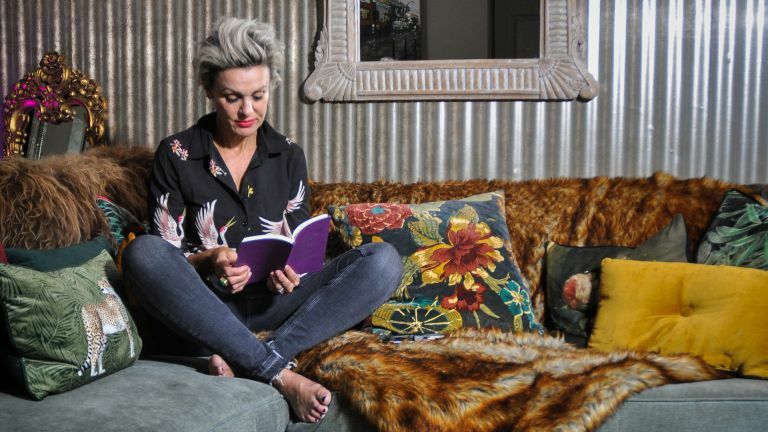 By using a stunning metallic wallpaper as her starting point, she has crafted a unique, dramatic living room, that is as sumptuous as it is eyecatching. Here, she takes Sian Astley on a short tour of the room, talking about her design choices and mixing industrial elements with decadence.